Dublin band Kopek isn't quite the new band you'd expect. They formed almost a decade ago when their average age was just fifteen, won just about every local rock talent competition you can name, as well as taking the coveted award in 2005 for winning the global battle of the bands competition at the Astoria in London. They've toured Switzerland and Belgium and have recently completed a tour in America supporting Saving Abel, My Darkest Days and Hinder. This album has already gained a release in 2010 in America but it was only a matter of time before it was released closer to home. Produced by Glen Herlihy and mixed by Tom-Lord Alge, the sound is crystal clear, yet the feel, vibe and style of the album will undoubtedly come as something of a surprise to those expecting the same kind of music purveyed by some of their recent touring partners. It's well produced, back to basics rock with classic hues and modern touches. 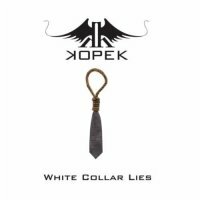 For a three-piece Kopek work up quite a head of steam with their rootsy take on modern rock. Daniel Jordan's unique throaty rasp dominates proceedings on the incessant 'Cocaine Chest Pains', 'Love Is Dead' - a hook filled ode paying homage to deceased rock stars and music trends - and the brilliant made for radio 'Floridian' - perhaps the closest Kopek get to their American counterparts in the Billboard charts. Although essentially a rock band, Kopek's sound - mainly due to Jordan - is unique and the band simply can't be pigeon-holed, and it's this that makes them so appealing; they're different and in a world full of cookie cutter mainstream rock that's rare. On 'Sub Human' they have the audacity to use a didgeridoo and actually make it work, 'Bring It On Home' is fuzz pop of the highest order and makes hyped bands like The Strokes look like also rans, whilst Kopek go all jangle pop on the razor sharp 'Running Scared'. 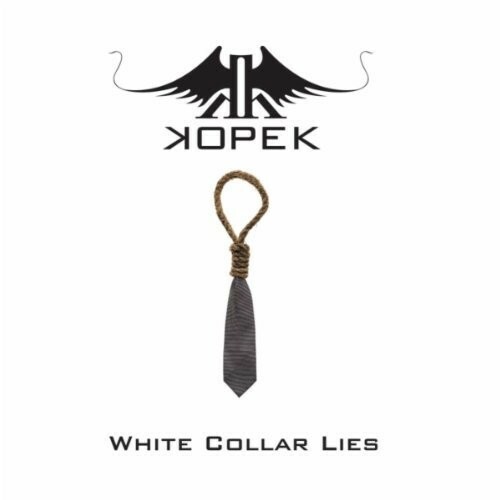 The whole Kopek ethos is very impressive indeed and the current buzz surrounding the band can only help them on their quest to make a breakthrough. On the evidence of this release that should happen sooner rather than later, with Kopek becoming everyone's favourite new old band.